Making blackface fashion? Really, again? 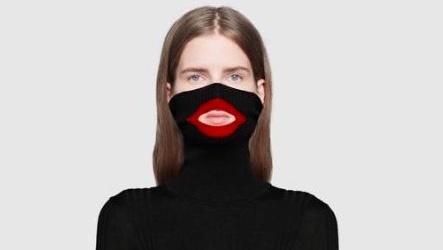 After a rollercoaster of cultural appropriation accusations in previous year’s uproars, it seems like in 2019 luxury fashion brands have moved on to blackface as a preferred form of racial offence. Gucci is the latest brand to aestheticise blackface (urg), following Prada’s lead with its ‘Sambo’-resembling trinkets released and recalled in December last year. Gucci joining the bandwagon of reproducing racist imagery of black people honestly has us sounding like broken records. At this point these designer brands are taking turns on the racist train. READ MORE: What exactly does Katy Perry mean by "exotic" shoe designs? From Katy Perry’s "exotic design" shoe collection to repeat offenders, Dolce & Gabbana's chronic racism, we find ourselves asking this question once again: why do these brands keep missing mark? Year after year, decade after decade, we have to continuously remind western conglomerates that the black community has to be respected socially, culturally and economically. Yet, here we are again, in 2019, raising issues of basic decency. Sizakele Marutlulle, CEO and founder of Marutlulle & Co – a pan-African strategy and ideas lab – weighs in on the issue of Gucci and other like brands. Gucci was swift with its apology saying they have pulled the products from stores but some Twitter users were not convinced. “Apologies are often about ‘getting caught’ not about ‘causing offence’ so what is needed is retributive justice for those offended not a full page ad in the Sunday press,” says Sizakele. “Boycott not burn stores, says Sizakele, “hit them where it matters”. Black people does have economic agency, and while it may seem like a big ask for many, withholding financial support from commercial brands may contribute to enforcing accountability. Do you have any ideas about what should be done about racist brands and their products? Chat to us here.